Currently, the electrical industry is embracing prefabrication. Both residential and commercial projects now use prefabricated receptacles, pipes, switches, and practically any sizable electrical component that electricians used to put together on-site and by hand. You may be interested in learning more about prefabrication as a way to up productivity or you may still be sitting on the fence debating whether this could truly translate into real benefits. Wherever you are in the spectrum, it would be helpful to know the pros of moving some of your production to a vetted prefabrication facility. So here we share some of the biggest advantages of switching to prefabrication. A Prefabrication facility has dedicated work areas large enough to produce and customize massive items in bulk. Down in Connecticut, Electrical Wholesalers has more than 15,000 square feet of floor space for all types of prefabrication needs. Unlike actual sites, there are no unnecessary traffic, unfavorable weather conditions, or constant interruptions on the fabrication floor. This decreases the chances of delays, safety issues, and quality compromises. 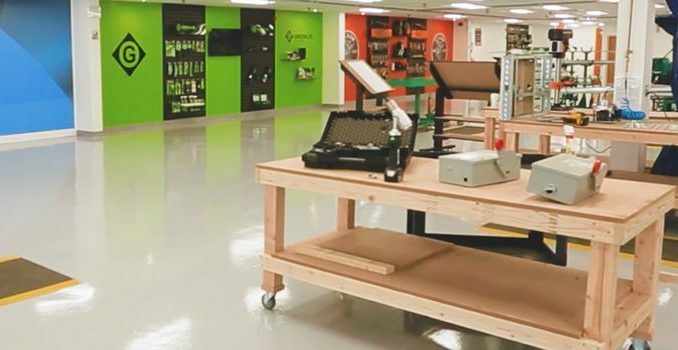 Prefabrication workshops carry industry-grade equipment and tools that you can use to design, mold, cure, trim, assemble, and prepare your electrical materials. EW even has CAD-equipped offices for your development process, so you can synchronize your design and production stages in one conducive space. Large players also have warehouses that span thousands of square feet. Electrical Wholesalers has more than 200,000 square feet of storage. The design, preparation, and storage in a prefabrication facility is simply more efficient than having everything done by hand at the site. You can mass produce the items you need and expect consistent quality every time. Since this strategy lets you eliminate disruptions and gives you access to all your needed equipment at a cost-effective price, everything gets done faster. Work on the site also gets wrapped up fast because many of the materials are delivered ready to use. When you have a shorter turnaround per your project, you gain more time to onboard new clients and increase your profitability. Not only do you get more time for other projects, but your best men also have more time to perform their primary roles on the site. They can focus on perfecting their work in one project then move to the next one quickly. As a whole, your company can grow both in quantity and in quality. In the prefabrication floor, there is less exposure to harmful elements such as moisture and pollutants. Workers who handle machines on the floor are also mandated to wear Personal Protective Equipment. Overall, there is significantly less risk for work-related injuries and other liabilities. Shorter timeframes, increased efficiency, minimized interruptions, and lower risk rates all lead to cost savings for your business. Prefabrication allows you to decrease your operational expenses while refining your process and output quality. But the bottom line of lower costs and higher margins is your company’s growth. When you move key processes to a prefabrication facility, you place yourself in a strategic position for accelerated and unprecedented growth.